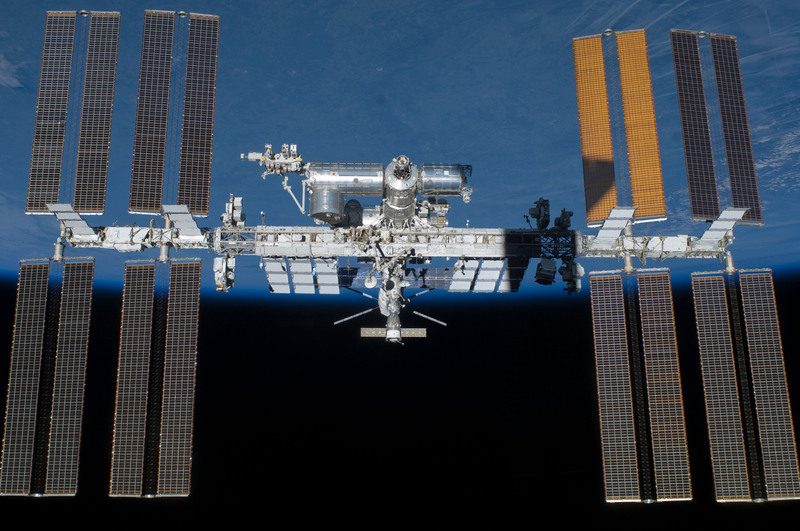 Arizona State University has received new support from the prestigious Alfred P. Sloan Foundation and NASA for its rising research stars to study the microbiome of the built environment on board the International Space Station (ISS). When fully implemented, Yang’s award is part of five national fellowships that will have a total value of about $700,000 during a two-year period. NASA and the Sloan Foundation solicited applications through parallel research announcements for post-doctoral fellowships from early career scientists to design experiments that use a NASA collection of microbial isolates collected from the ISS over more than a decade in order to better understand how microbial communities colonize, adapt and evolve in this unique environment. As part of her fellowship, Yang will explore the impact of thin, slimy films of microbial colonies, called biofilms, that have been found to adhere to interior surfaces of the ISS, including the inside of the water lines from which astronauts get their water for drinking, eating and hygiene. This is problematic, as biofilms are a major cause of infectious disease and also cause damage to the integrity of structural materials of spacecraft. Biofilms can form on any surface (think of the most common reason for a trip to the dentist’s office, the yellow plaque that forms on our teeth) and are notoriously difficult to remove. Yang will take advantage of a variety of microbial samples collected from the ISS drinking water system over several years to better understand and model how these different microbial communities interact, form biofilms and alter their susceptibility to disinfectants. Besides the potential to mitigate human health and infectious disease risks associated with biofilm formation during long-term space flight, Yang’s research is also critical to controlling biofilms that can foul or corrode spaceflight systems — all of which can impact mission success. The overall goals of these funded research fellowships are to examine how the space flight environment influences genetic and functional changes in microbial isolates collected from the ISS which may alter their virulence (ability to cause disease), resistance to antimicrobial agents, and biocorrosion of materials. Yang's research will advance our knowledge and understanding of human-built habitats on Earth, enhance ISS utilization, and inform the intelligent design of future space exploration vehicles that are occupied by humans. Fungus growing on a panel aboard the ISS where exercise clothes were hung to dry. Experiments funded through the MoBE solicitations will study microbes isolated from such surfaces to help us understand better how microbial communities colonize, adapt, and evolve on the ISS, as well as on built environments here on Earth. NASA and the Sloan Foundation agreed through a Space Act Agreement to work in parallel for a common purpose: to better understand how microbial communities colonize, adapt, and evolve on the ISS. Both entities have a shared interest in promoting microbiology research that will enhance scientific understanding of the microbiome of built environments. For a complete list of the selected proposals, principal investigators and organizations, visit: https://www.nasa.gov/.